Essay from the year 2011 in the subject Sociology - Methodology and Methods, , language: English, abstract: The given question argues that there are two approaches to risk assessment and analysis, quantitative and qualitative, and asks why regulators generally rely on quantitative risk assessment and analysis. The essay examines the question by considering first what is meant by the terms risk, risk assessment and analysis, regulators and quantitative/qualitative approach to risk assessment and analysis. 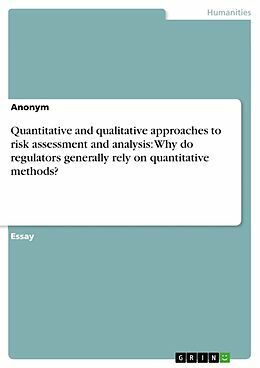 With reference to the latter terms, the essay then focuses on the analysis of advantages and disadvantages of both quantitative and qualitative approaches from the regulators&apos; perspective. By comparison of both approaches the essay then concludes with why regulators generally rely on quantitative methods. 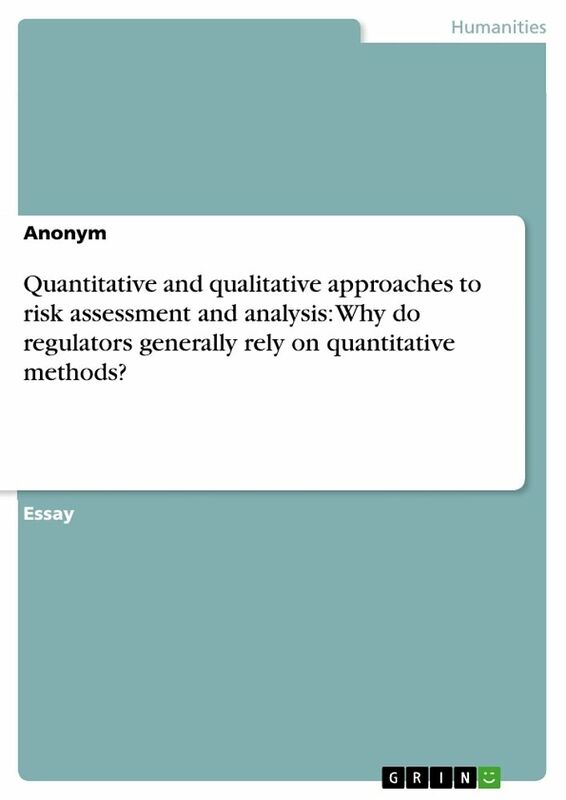 Titre: Quantitative and qualitative approaches to risk assessment and analysis: Why do regulators generally rely on quantitative methods?